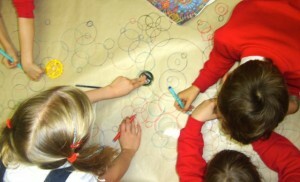 The last couple of weeks at Pelham School we have continued our circle theme, working individually and together. 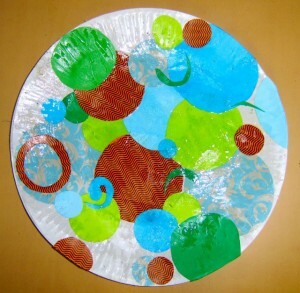 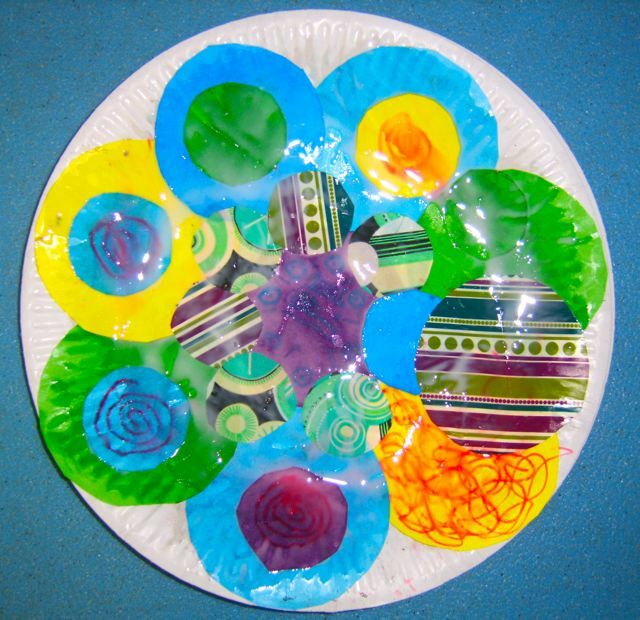 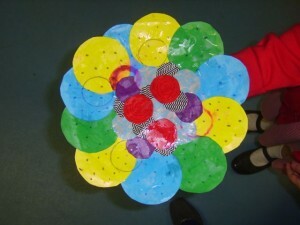 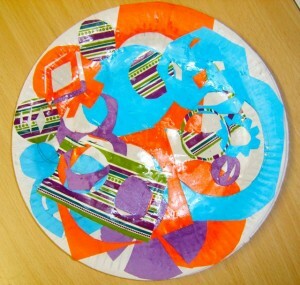 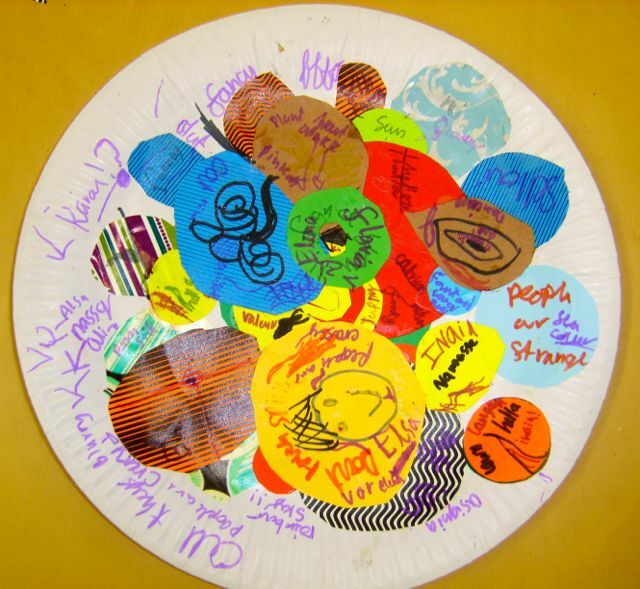 We designed a paper plate using cut up, brightly coloured wrapping paper. 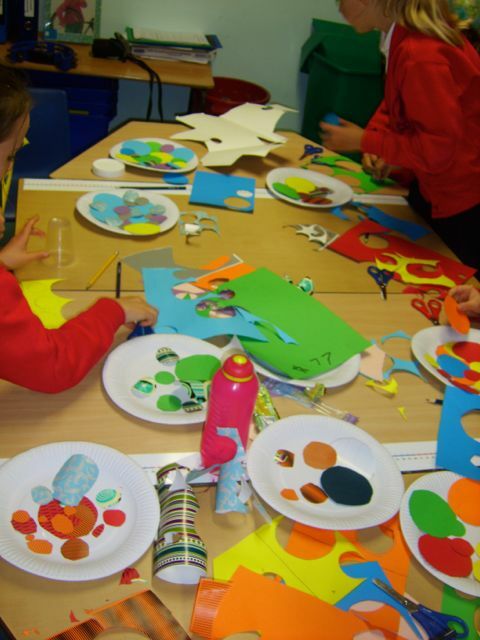 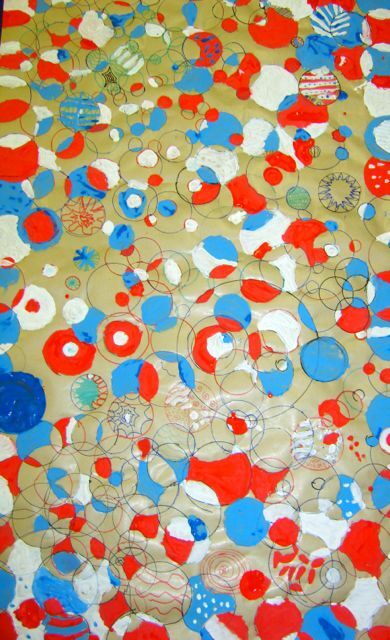 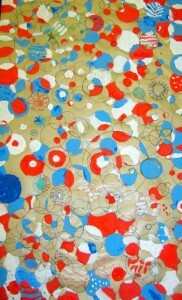 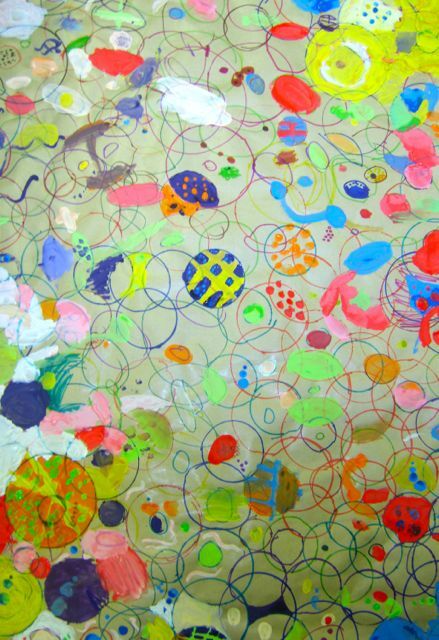 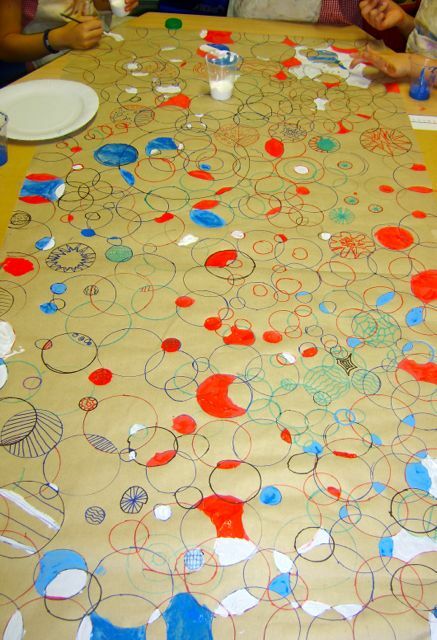 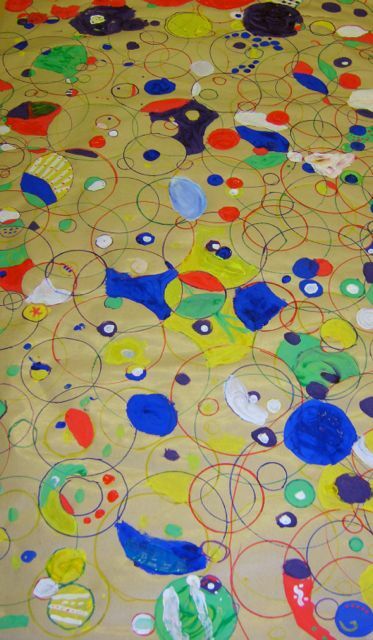 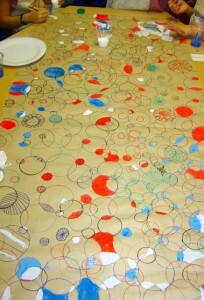 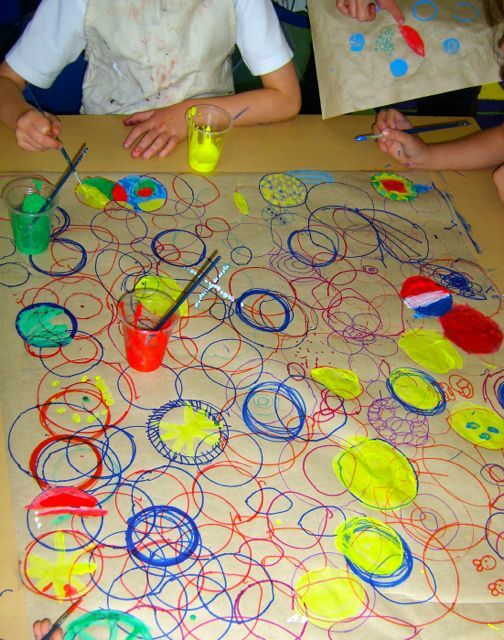 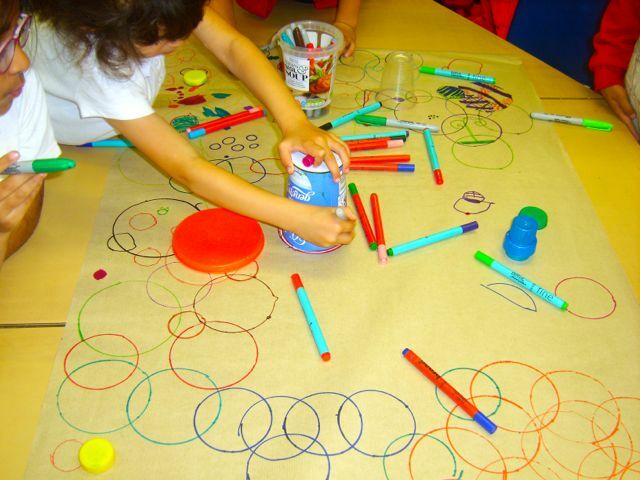 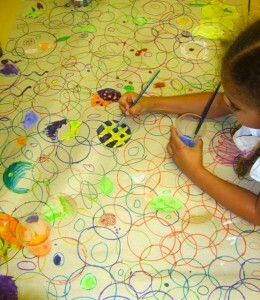 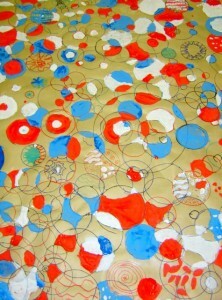 We layered and varnished with glue The following week we began to work together on large sheets of brown paper drawing around many different sized circles. 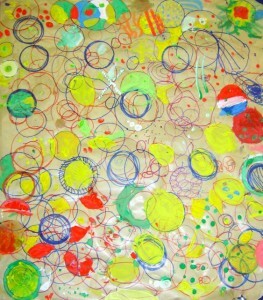 We then began to mix colours and paint where the circles collided and overlapped. 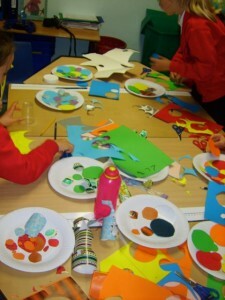 We look forward to seeing how these end up. 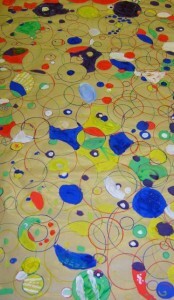 We will cut up the giant sheets into smaller works so we can each take a piece home to treasure.